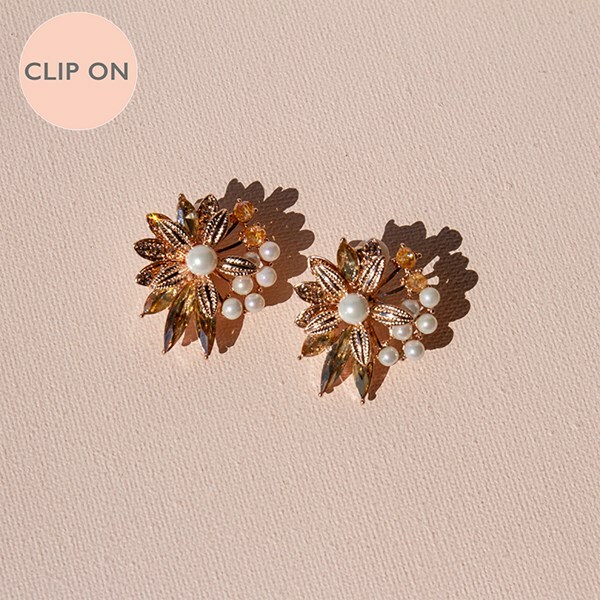 Don’t miss out on style, these clip ons are a wardrobe essential! Perfect for a soft statement accent to an evening look! Rose Gold Plated Metal, Faux Pearl, Diamantes. 4cm Drop, Post & Backing.